I didn't know tomato leaves could be eaten (I thought that they were poisonous like the rest of the plant...)! Very original. Ain't tomato leaves poisonous? The pesto looks very tasty! Also, I believe you want to avoid potato plant leaves. But, sweet potatoes are not nightshades, and their leaves are safe to eat. 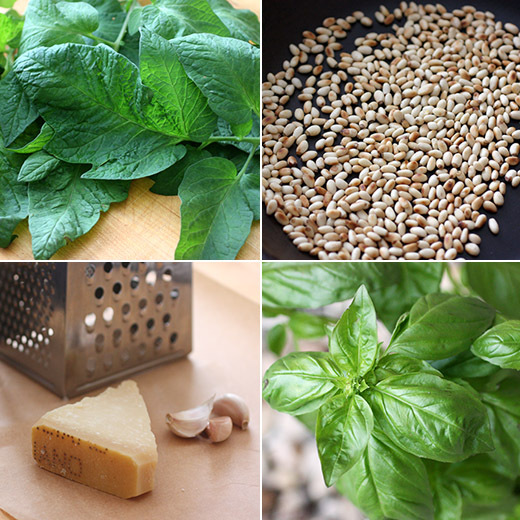 What a robust pesto! Tomato leaves always stain my hands and clothes, so I try my best to ignore them, favoring the plump ripe fruit. I must make this recipe and change my thoughts to using the more of the plant! it just so happens that we have oodles of tomato plants and not many tomatoes. i LOVE the idea of using the leaves--this is brilliant! Very intrigued by this pesto! We planted some tomatoes this year, and if we are lucky (that is, if the plants survive despise of us), I intend to try it.... I am sure it will be amazing! I love alternative pestos, and this one sounds like a real winner. I'll have to try it! Love tomato season! Ours aren't ready yet, but soon we should be enjoying them. Assuming the squirrels leave us any. 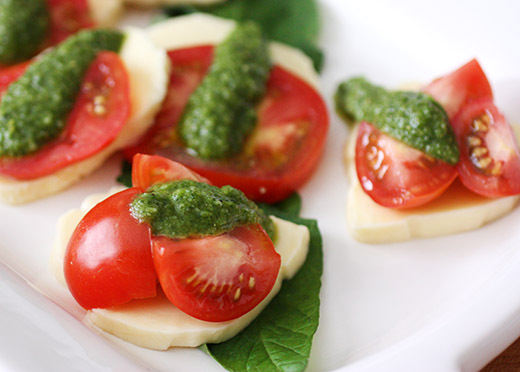 ;-) Love this pesto! Thanks. Hi Lisa, thank you for your review of my book! I love that you tackled one of the more unusual recipes and ended up enjoying it! Tomato leaves are such a great seasoning for tomato-based dishes (have you tried it in tomato sauce or tomato soup yet?) and I hope more people will give it a go. Here's to many more delicious meals in your kitchen this summer! I simply love tomatoes! 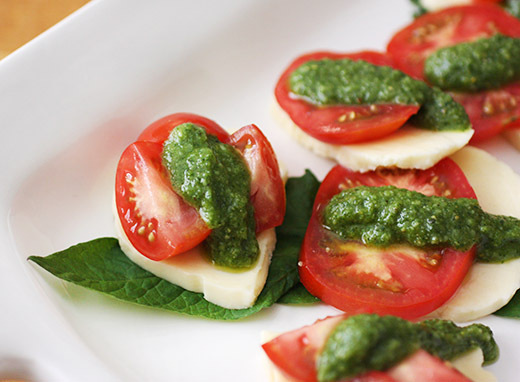 Thank you so much for this amazing tomato leaf pesto recipe! Looks gorgeous! Never knew that either...although was surprised at how good radish leaves are, so why not? Nice bright pesto, Lisa. Cheers to using all parts if the plant!